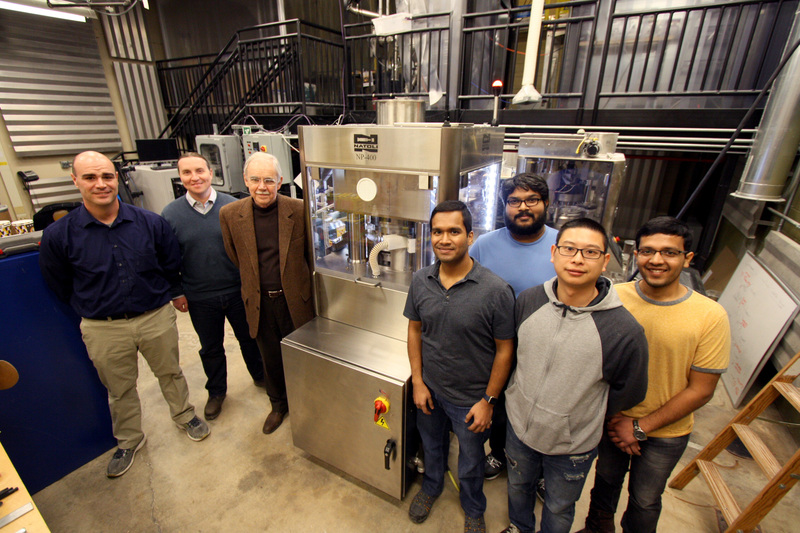 Natoli Engineering Company, Inc. donated a new pharmaceutical tablet press to Purdue University, capable of producing up to 180,000 tablets per hour. It's part of the Center for Particulate Products and Processes (CP3), a pre-eminent team which allows students to study, design, and manufacture pharmaceutical tablets at an industrial scale. Natoli Engineering Company, Inc., the global leader in tablet compression tooling, continues to drive innovation in the tableting industry by donating a new NP-400 tablet press and related components to Purdue University in West Lafayette, Indiana. Along with the best-in-class NP-400 tablet press, Natoli’s gift includes operating software and three sets of tooling. Engineered and manufactured in the United States, the NP-400 is a robust and powerful production tablet press that can make up to 180,000 tablets per hour. The new Natoli tablet press will operate at Purdue’s Center for Particulate Products and Processes (CP3), one of only a handful of university-based centers that allow students to study, design, and manufacture pharmaceutical tablets and other particulate products at an industrial scale. The center is a collaborative effort among the schools of Chemical Engineering, Mechanical Engineering, Agricultural and Biological Engineering, and College of Pharmacy. The new NP-400 will replace an older model Natoli tablet press that was part of the continuous tablet manufacturing pilot plant.